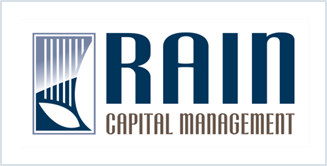 Rain Capital Management | “The Comprehensive Business Case for Sustainability,” Harvard Business Review. Authors Whelan and Find dispel the notion that integrating environmental, social, and governance (ESG) issues into corporate business strategy costs more than it’s worth. Citing data and numerous case studies, the authors show that these factors can drive a competitive advantage for companies through stakeholder engagement, improving risk management, fostering innovation, improving financial performance, attracting talent, and building customer loyalty. Rather than being a poor cost/benefit tradeoff, Whelan and Find show that in an increasingly competitive world, corporate management can no longer afford to treat ESG issues as ancillary functions that are distinct from a company’s core business. While ESG issues often get attention due to headline events like the Deepwater Horizon oil spill, the authors make a compelling case that these issues are not confined to big headlines or big companies. ESG issues and related trends, such as natural resource scarcity and changing demographics, are relevant to investment risk and return across companies of all sizes and across asset classes.